For many of us though, graduation means leaving the ivory tower and finding work. Outside of academia, the traditional format for job applications is the resume, which is easy to forget about when all the people around you are obsessed with growing their CVs. 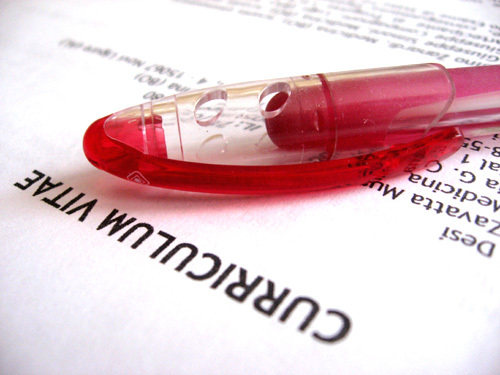 It can feel bewildering trying to cut your CV down to a single page (all those precious accomplishments down the drain! ), but it has to happen if you want to make a resume that will get you an interview where you can really shine. What you need to remember first and foremost when it comes to transitioning from a CV to a resume is this: a resume should highlight skills relevant to the position you are seeking; it isn’t a professional omnibus like the CV. While the CV has all of your professional identity conveniently chronologically ordered, your resume should cherry pick the relevant parts as they relate to the job you are looking for. Once you have identified the parts of your CV relevant to the position you are seeking, it’s time to start formatting them as a resume. At this point it can help to be familiar with the three most common forms of resume formatting: chronological, skills-based, and combination. Chronological: This is exactly what it sounds like, where your relevant work history and educational attainments are listed chronologically with the most recent appearing first. Skills-Based or Functional: This format is characterized by the emphasis on you skills instead of degrees earned or positions held (not sure if this is right for you?). Instead of a typical reverse chronological format, break down your professional experience by the transferable skills you’ve developed. Remove the “Professional Experience” section and replace it with a “Summary of Skills” section. Under this heading, organize the top 3-5 skills desired by the employer with a concise statement of evidence for each (you can usually find these exact skills in the job posting). This can be an extremely helpful format when applying outside of academia, as you can frame your single degree as an array of skills with real-world applications. While re-framing your skills to be independent of your actual degree may feel awkward, it is an effective way to showcase your abilities relevant to a job outside of your specific academic niche. Combination: Having trouble deciding which format to use? The combination approach is the most common, as it allows you flexibility in how you present yourself and your educational background. It combines a skills-based resume with a reverse-chronological format for each section. Choose the headings for each experience subsection based on the job ad keywords. For example, instead of your CV subsection, “Teaching Experience,” consider “Project Management” or “Supervisory Experience,” then list the tasks and accomplishments that highlight this ability with each position you’ve held. This format can be excellent for showcasing the skill of recent graduates, so don’t be afraid to try it. Spell check very closely! This may sound really, really simple, but do not underestimate the value of going through your resume closely, by hand, to prevent any too/to or there/their/they’re kind of issues that slip past spell check. Something this simple can easily undermine your professional appearance, so it’s worth the extra time and care. Find and use job-related keywords. Search job ads in your field and pay particular attention to the buzzwords in the ad to which you’re responding. Use these words and phrases in your resume and cover letter, especially if you’re applying to an online applicant tracking system (ATS). ATS looks for specific keywords, years of experience, and other HR-determined metrics in your resume and cover letter to rank your application. If you have trouble determining which terms are most important, drop the job ad in Wordle to analyze the frequency with which they appear. Place most relevant information “above the fold” – in the top third of the page. Include dates for everything. You might have some gaps—explain these in the cover letter, but it’s better to include the dates and have to explain them than look like you’re trying to hide something. Market the skills you develop while planning, researching, and writing your dissertation. Consider how this massive undertaking demonstrates your ability to design and carry through to completion a large project. It exemplifies your analytical and writing skills, as well as your work ethic, creativity, and autonomy. Avoid the now-dreaded “Objective” section, which has become a catchall for every platitude and cliché known to job seekers. Translate your teaching experience into language that outside employers will understand. For instance, through teaching you demonstrate your leadership, organizational, and project management skills. For more resources on how to do this effectively, see Transferable Job Skills for Job-Seekers. Highlight examples of your innovation, effective written and oral communication, as well as digital (and other tech) competencies. Use as many facts and numbers as you can for evidence and include how your employer/adviser/school benefited from your work. Include social media links: your LinkedIn and Academia.edu profile pages and Twitter handles (as long as each is professional). Check out universities’ career center websites for help. Here are some samples from the University of Michigan and advice from the University of Colorado. Pingback: Chronological and Functional Resume – Transformation from Military to Corporate Part 1 | What do you want to accomplish in this lifetime?